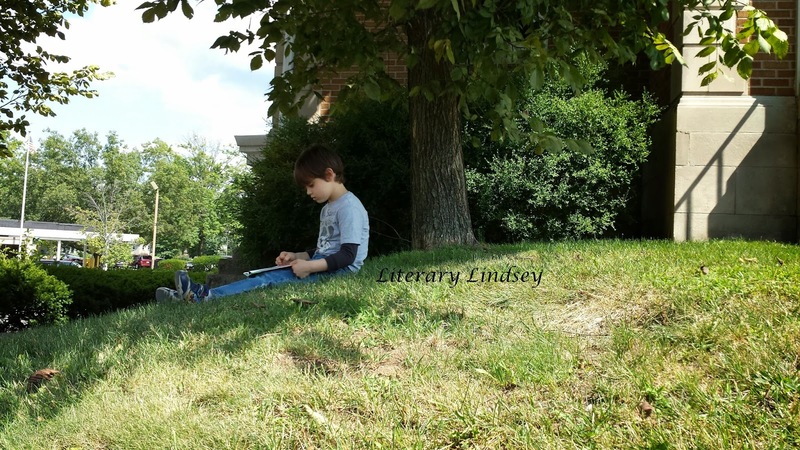 Literary Lindsey: It's Monday and the countdown is on! It's funny reading about summer. I live in Australia and winter has just finished and today's the start of spring! Happy spring! It's so easy (for me, at least) to forget that the weather is completely different on the other side of the world! 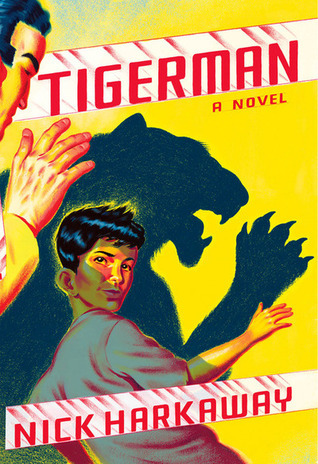 Tigerman was a great read and Nick Harkaway is one of the few authors I recommend to everyone! I start school with students tomorrow too. Last week was just teachers and was quite exhausting. I'm glad we're easing in with a four day week to start. Happy reading! It helps to ease back into the routine, doesn't it?? I hope your first days go well! I love Outlander. I've missed the last few that have come out over the years. And I could stand for a reread. But still, in high school, I had such a huge crush on Jamie! I mean, who doesn't? This is my first time reading it?? 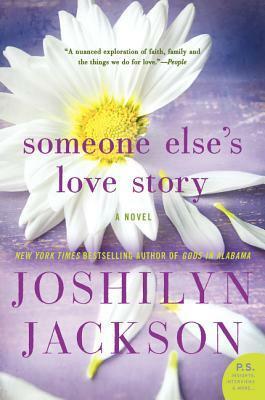 Somehow I missed it until my best friend basically pushed her copy into my hands and said I must read it. How far in the series did you read? I'm curious about your reaction to Outlander. The Angel of Losses looks intriguing and is a new to me title. 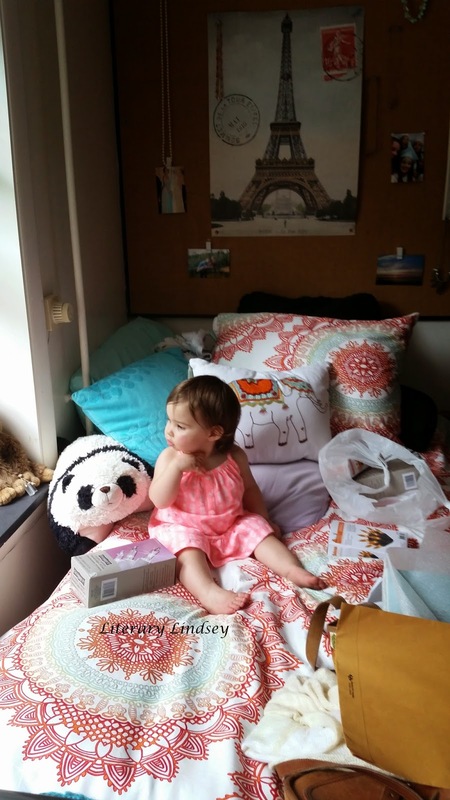 By the way, I love your sister's style in decorating her dorm, very chic! The Angel of Losses was compared to Nicole Krauss' novels, which I really enjoyed. I'm hopeful it lives up to the comparison! We're kind of enjoying the last hurrah before school starts as well, but other than a trip to the lakeshore we've mostly been hanging out. It's been a nice long weekend though... hope yours is good as well. Nice review of The Magician's Land- I've wondered about that series a few times... sounds like it's worth a try. I think The Magicians series would be right up your alley. I hope you give it a try! 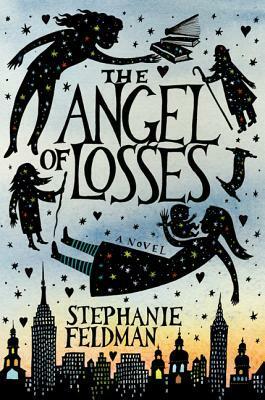 The Angel of Losses cover is awesome, makes me want to read it right away! Enjoy your first time read of Outlander. It is one of my all time favorite books. Enjoy these last few days of summer break. I finished it just now. I get all of the Outlander love now! 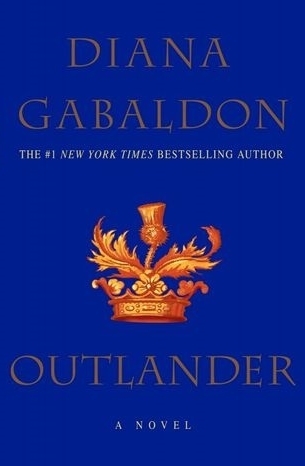 I enjoyed Outlander and parts of the second book in the series. But then it started to drag so I haven't read the rest of the books. I'm enjoying the TV series. My friend mentioned to me that she hadn't picked up the later books either. The are looonnnggg books so I imagine it is hard for Gabaldon to come up with enough material to keep it interesting.